Competition is the best thing for consumers as it gives people a choice. For fish sake choose fish that is ethically sourced or thee will be none left. The problem is simple we are over fishing our oceans and we are wasting our Marine environment. We must source Sustainable fish and seafood if there is going to be any fish left for the future. At fish & Co. The sustainable seafood cafe we choose only wild caught fish from sustainable sources. A FISH war has erupted between Australia’s supermarket giants, with Woolworths revealing a sustainable seafood campaign within days of Coles doing so. Woolies will introduce a star rating system for fresh fish, with the most sustainable species (such as blue grenadier and flathead) getting three stars. Other sustainable species get two stars, while fisheries needing improvement get one star. 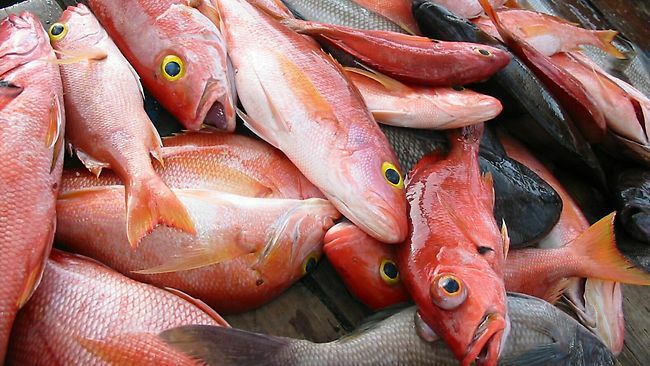 Woolies has teamed up with Sustainable Fisheries Partnerships for the program.